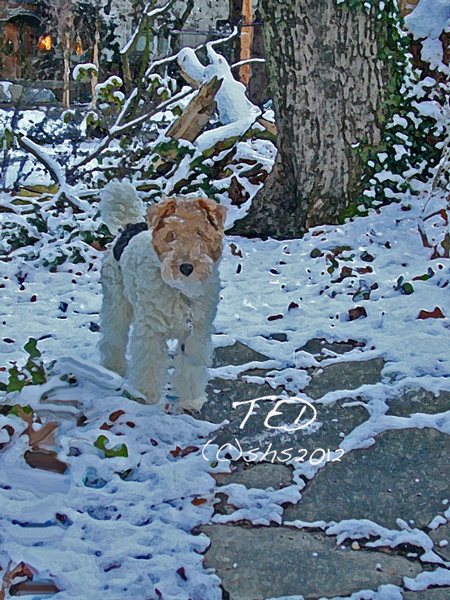 This entry was posted in Dogs, photography, Ted and tagged Dogs, Fox Terriers, Snow, Spring, Wire Fox Terrier. Bookmark the permalink. Oh, yeah, I’m with Ted on this one. Woke up to a new batch of it myself this morning. Icky. Although I don’t have any snow here, Susan, it’s still bloomin’ cold! Doesn’t feel like Spring at all! But, it will soon! Happy Spring!